In order to see all printers on the server, you need to do some additional steps on the print server. The issue is that there is no DNS A record for the remote client on the server (client being the system running the print management console, be it Win7 or 2008 R2).... 3/03/2012 · Open the Print Management Console, select the "Deployed Printers" node, right click the printer you want to be rid of and select the "Deploy with Group Policy". Click the "Remove All" button on the right, then click ok until all the dialogue boxes close. In Server Manager, the local server is added automatically for management. If you want to install the admin tools on another server, you need to add the server for management …... To install Group Policy Management Tools (GPMC) on Windows Server 2012 please follow these instructions. Open the Windows Server 2012 Server Manager Dashboard. If Server Manager does not start by default press the “Windows + R” keys, Type “ServerManager” in the “Open” field and press “Enter” or click the OK button. 16/06/2013 · From our Windows Server 2012 we will use the Print Management console to perform the Migration. 1- Open Server Manager, click Tools , and then click Print Management . 2- Right Click Print Management , and select Migrate Printer... 15/09/2015 · To test this I added the actual server name to the Print Management console and all works fine. I can see everything. I can see everything. I can ping the server by name and the CNAME entry and they both return the correct IP address so DNS is working. Print Management Console First introduced with Windows Server 2003 R2, the Print Management console is used to manage Active Directory and local server and workstation printers. The Print Management console, shown in Figure 19.11 , can be used to view settings, configure drivers and options, and manage printer and print jobs on a particular system or Active Directory-wide. 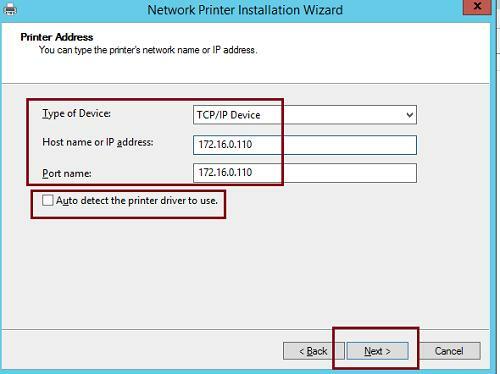 Server 2012 R2 have about 40 printers installed all TCP/IP port based printers shared out. I was able to see and manage the printers on the print server via print manager, and then all of a sudden I can no longer see printers in the print manager view. We have a Windows 2012 R2 server, that is running print services and hosting printers. I am using the management console snapp-in on another 2012 R2 machine to try and access the server remotely and manage the printers. In the Print Management console, expand the Print Servers node and right-click the print server you logged into earlier. This entry should have the word local following the server name.